Instagram has demonstrated remarkable growth over the past few years. With over 700 million monthly active users, it is amongst the most popular social networks out there. In this post we will share best Instagram Tips to increase followers easily. 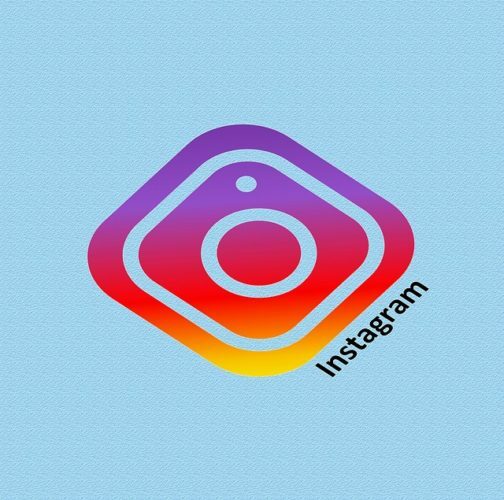 Apart from a social networking platform, Instagram has also emerged as a promising platform for social media marketing. Instagram has already penetrated into the social media marketing industry, overtaking almost all of its rivals. Apparently, it’s not just the hype. Instagram marketing is effective, especially for small businesses with limited resources and PR. This platform provides them with countless opportunities to approach the public, engage with them and turn them into customers. Instagram is just the right platform to connect with the right people and influence them. Instagram marketing is evidently inexpensive as you can also opt for organic methods to stimulate the growth of your brand. An effective Instagram marketing strategy will let you gain followers on Instagram fast and lead to greater growth, engaged community and higher ROI. Below are some tips that small businesses can leverage to aid their operations using Instagram. Connecting your Instagram account to other social networks is highly recommended. As Instagram allows you to connect your Instagram account with various other platforms including Facebook and Twitter, you should do it. Initially, it’ll make it easier for you to manage your social media marketing. Secondly, connecting your Instagram account to other platforms will enable you to cross promote and increase brand awareness. You’ll be able to mobilize most of your audience on a single platform, making it easier to approach them and keep them engaged. Adding your website in the bio section of your Instagram account is another great option. It makes it easier for your potential customers to explore the variety of your brand. A pro tip for adding website URL in the bio is to use tools such as Bitly to shorten the URL, making the bio section seemingly more organized and less congested. Turning your Instagram gallery into a shoppable feed is an excellent idea, particularly for small businesses. Various third-party Instagram marketing tools can be used to turn your Instagram galleries shoppable. It will enable your customers to shop directly via your Instagram page and make it more convenient for your potential customers to explore your brand in-depth. This tip is handy for small businesses as they might not have the resources to operate a physical store and might entirely rely on online selling. Many tools can be utilized for this purpose, and the costs are relatively low. It is essential for any business to measure the effectiveness of their marketing strategy and analyze current trends. Analyzing statistics related to your posts, customers and competitors will assist you with your Instagram marketing strategy and will ensure efficient allocation of resources, which is quite important for businesses with limited resources. You can either utilize third-party Instagram analytics tools or Instagram Insights. There are tons of third-party analytics tools available. These tools tend to provide more detailed information, however, with costs involved. ‘Instagram Insights’ was launched as a part of Instagram Business Tools. ‘Instagram Insights’ is overall a better option for small businesses. It provides insights including impressions, Reaches, Website clicks, Follower Activity, Video views, saves, and engagement. Considering these insights are provided by Instagram itself, their credibility can be trusted. While Instagram has unveiled Instagram Live, why not use that platform to interact with your followers, promote your products and stimulate brand loyalty. Going live once in awhile would be an excellent idea to interact with your followers, virtually face to face. Not only you can establish stronger ties, but can also promote your products. We hope you would like best Instagram Tips to increase followers easily. Thanks.